Open thread on tailgating and cutting people off. 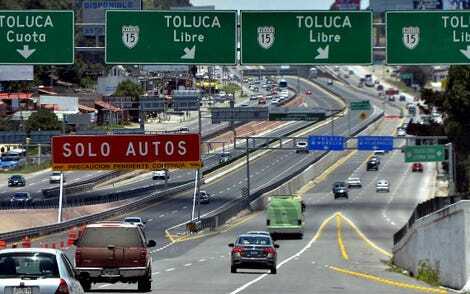 This long weekend I was subjected to the worst possible traffic in a Mexican road: Any. You see, in the highway everyone drives at their own pace... some Coca Cola trucks drive at the very dangerous speed of 25 miles per hour because Coca Cola overladens their trucks and this is a very hilly road, some people like the guy that crashed a Koeninsegg, might drive at a much higher speed. I often drive at 60-75MPH. So, “ghost traffic” is super common in this highway, whenever a Coca Cola truck is taking a blind corner in the rightmost lane and a passenger bus approaches it at twice the speed, the bus needs to brake, cut off any car in the middle lane, and overtake the Coke truck. The cars the bus cut off go to the passing lane and protest the bus, which means everyone behind them has to slow down to a crawl. This is very dangerous, but it means that everyone is constantly cutting everyone off, and then the people who were cut off get angry and tailgate those who cut them off. It happened to me yesterday, when a Mitsubishi SUV was going so slow on the fast lane, that a gap opened up for me to enter. As I am a Devil’s Advocate I turned on my turn signal rather than simply darting into the space. The Mitsubishi SUV raced to meet me because how dare anyone enter the fast lane infront of him. He then tried (and failed) to tailgate me. But the funny thing is.... By triggering that guy’s sense of self worth, I made the entire passing lane faster. He never left it, but at least he drove past the truck so people could overtake him on the middle lane.